There are so many apps for the iPhone and iPad that modify and enhance photos that you can spend days just wading through them. 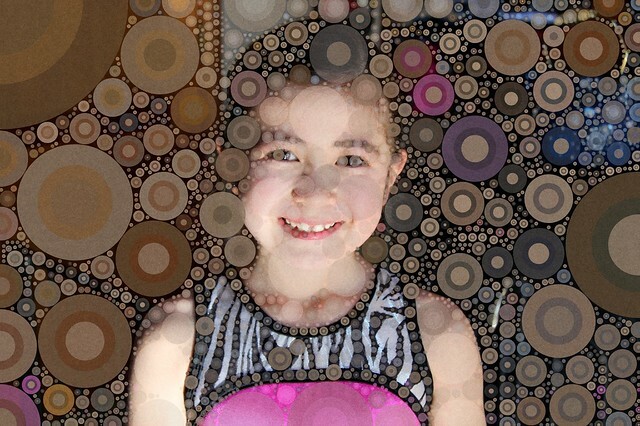 But when I happened upon a photo run through the Percolator app, it was an instant "I want!" 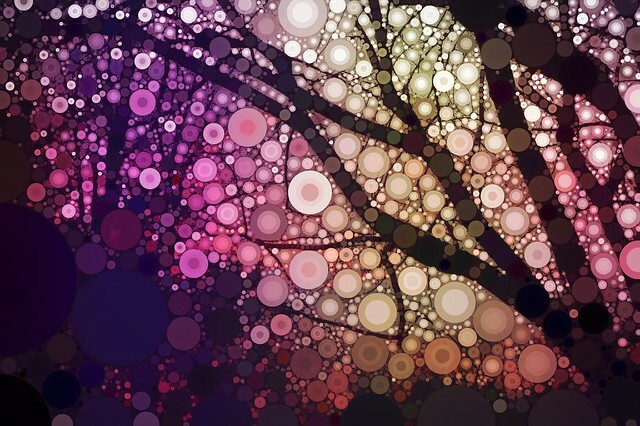 It's retro, it's bubbly, it's altogether an awesome way to be creative just a few taps. 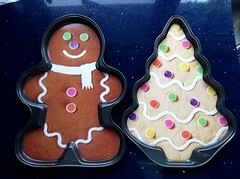 The gingerbread man and Christmas tree above were simply to remind myself of the graphic that came inside cookie molds. Instantly transformed from boring to pop! Since then, the kids and I have gone into quite extensive percolations. 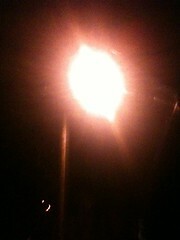 Adam took a shot of a street light going by in the car and percolated it. 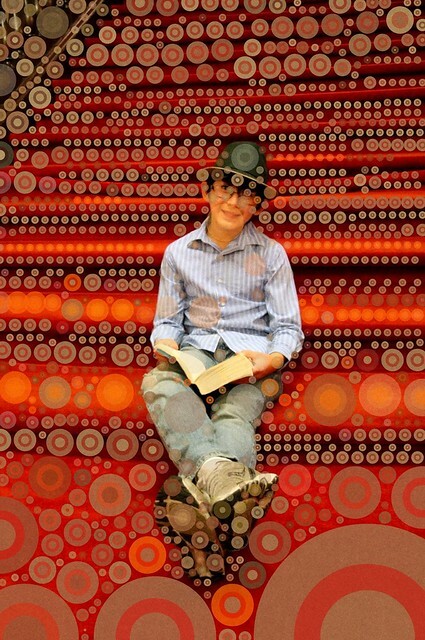 Dova took that image and percolated it again. And then again with stars. 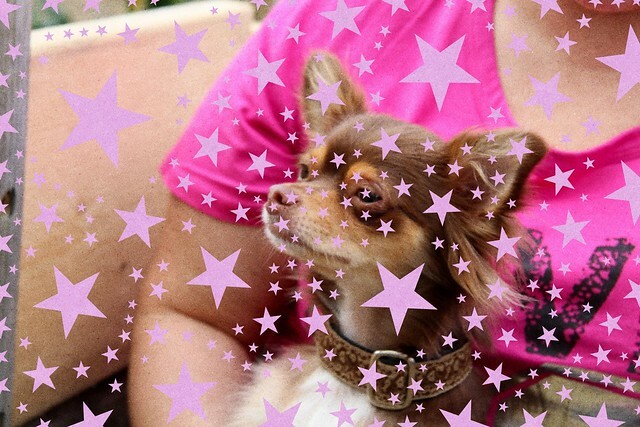 Stars look mighty fine on cute chihuahuas too. 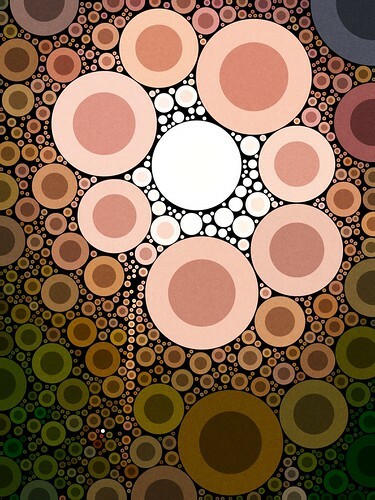 I went for artful usage of percolator with this sunset. 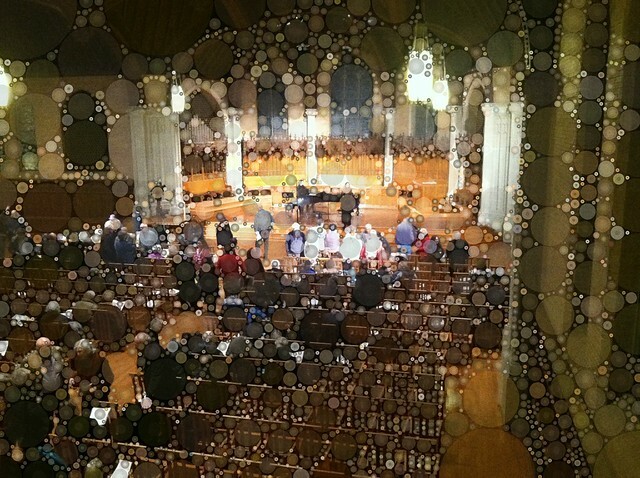 And this view of a concert held in a church, like looking through stained glass. 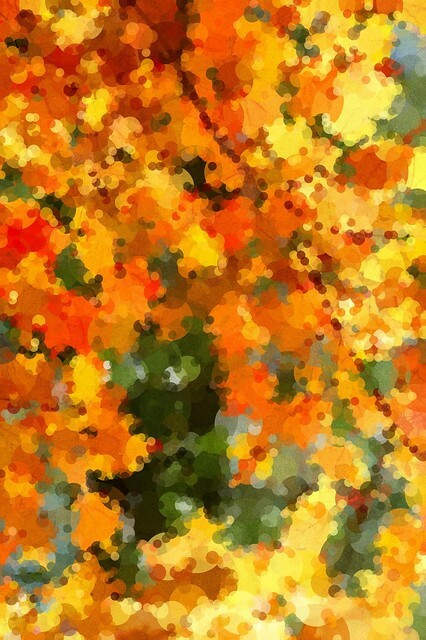 Or looking through a water-spotted window at this foliage. Last but not least, here are some shots of the kids all happy and percolated. 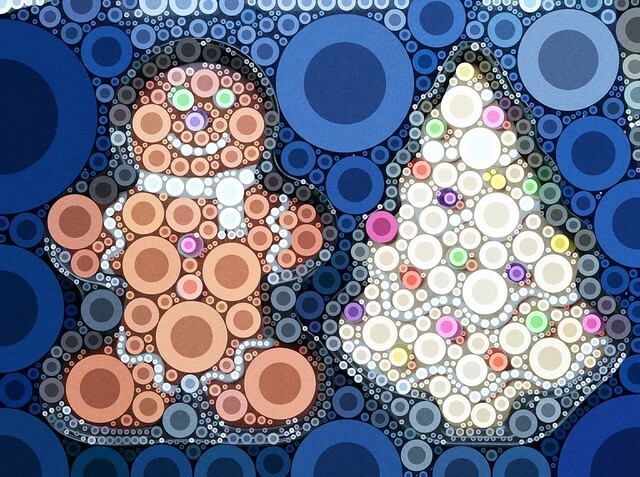 Their faces are relatively untouched by using the "dark" mode, where only dark areas get percolated.